Welcome to the Engel & Völkers search page for Bozeman luxury condos and townhome real estate. Glance through some of the high-end upscale units within this fantastic city. We can help you find the right place for all the amenities you're looking for! Downtown Bozeman offers gorgeous luxury shopping and dining, while the outskirts of Bozeman have open land and ponds that offer space to breathe. Whatever you're looking for, find it below or contact us with any questions about upcoming building plans. Read more below the listings! 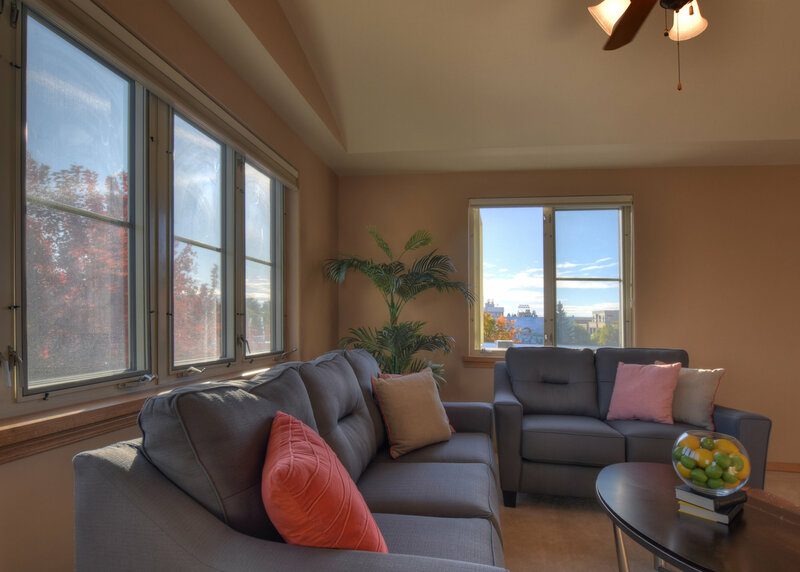 To view any Bozeman luxury condo or townhome listings, please contact PollyAnna Snyder today. You can reach her or an Engel & Völkers professional by calling 406.404.1960. Bozeman downtown spans seven blocks of Main Street and has everything from jewelry and antique rug stores to fresh sushi and breweries. Discover more of Bozeman here. Condos downtown offer close proximity to all these and more. Montana State University is a 10 minute drive to downtown, the interstate and several recreational areas are all within reach. Downtown living is coveted by all, as there are certain building restrictions that only allow for limited numbers and real estate. Be surrounded by the historic district as well as new creations and live in the heart of Bozeman. If your taste is more open, then the west and southern parts of Bozeman are for you. Much of the view will be ponds and trails as well as the possible horse or two. Fields abundant, and still within 10 minutes of grocery stores and shopping centers, you can have the best of both in outskirt condos. Bozeman is one of the fastest growing towns in Montana, and has some of the most unique activities and areas. We welcome you to find the right real estate for you in such a wonderful place. Get regular updates on new Bozeman luxury condos and investment opportunities when you sign up for a free account. You'll also be able to save searches and bookmark your top homes.